**** It's no secret that I've recently gotten into boxing. 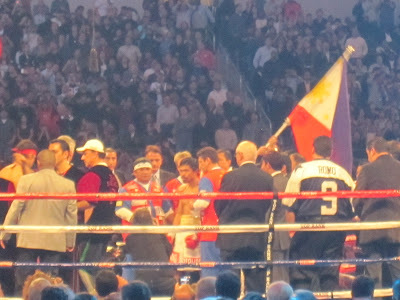 I've always paid attention to the heavy weight fighters, but I recently broadened my scope due to Manny Pacquiao. 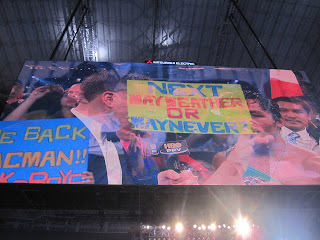 I even went to Dallas to watch Margarito vs Pacquiao this year. Anyway, I've got a buddy, John, who keeps me in the know on who and what to watch in the ring. I've supplied the pictures for the post, and he's been kind enough to send me his fight wish list for 2011. Enjoy! Ignoring the obvious Manny Pacquiao vs Floyd Mayweather fight that may or may not ever happen, here is what I would like to see in 2011. 5. Miguel Cotto vs Andre Berto - This is the signature win that Berto needs to become a credible and deserving challenger to pound for pound king Manny Pacquiao. The faster and more athletic Berto should be able to outpoint Cotto over 12 rounds, this would be a great fight to hold in South Florida. 4. 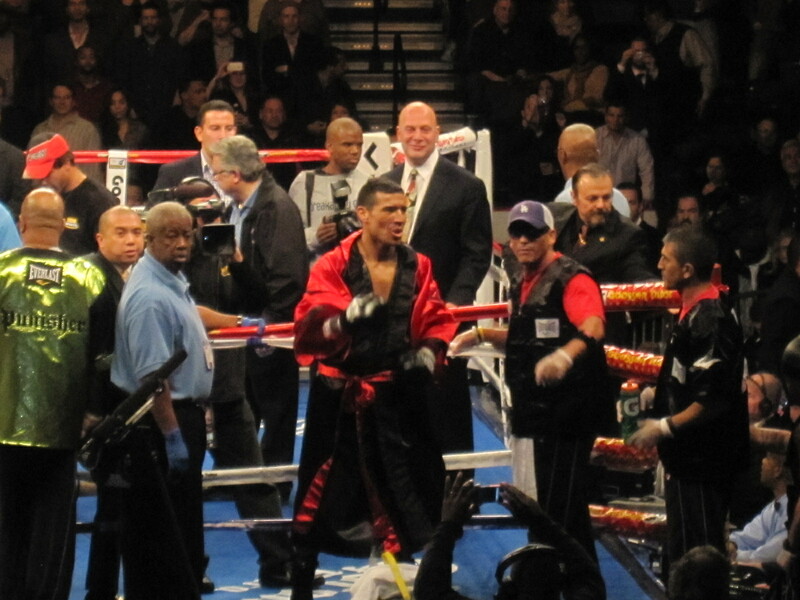 Sergio Martinez vs Andre Ward - Ward should conclude the super middleweight tourney towards the end of this year. 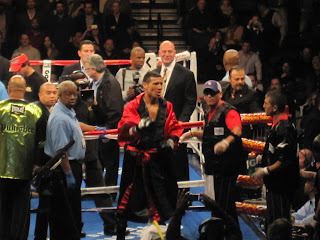 Martinez was the breakout fighter of 2010, defeating both Kelly Pavlik and scoring a stunning one punch KO of Paul Williams. The bigger Ward would likely be a slight favorite to win by decision. This is the only really intriguing matchup for Martinez, outside of a fight with Pacquiao. 3. Amir Khan vs winner of Timothy Bradley/Devon Alexander - The winner of this fight (Bradley and Alexander fight in January on HBO) becomes the undisputed champion at 140 lbs, easily the strongest division in the sport. If Khan can overcome either fighter, his star will continue to get brighter. I would look for Khan to outpoint or possibly stop either of these fighters, and go on to fight 2-3 more times this year. 2. Vladimir Klitscho vs David Haye - The only real heavyweight boxing match that would get any attention at all in the United States, outside of the dream matchup between the Klitscho brothers that will never happen. Haye has been loudly harassing both brothers for well over a year now, constantly taunting them in the media. Up to now he has turned down offers for the fight saying the purse has been too small. Fast and athletic with one punch knockout power makes Haye one of the only legitimate challengers. The sport of boxing desperately needs an exciting heavyweight matchup, and right now this all Euro fight is the only thing that qualifies. 1. Manny Pacquiao vs Andre Berto - This presupposes that Pacquiao gets by Shane Mosely, and that Berto notches a signature win this year. I think there will be a clamor to match up Berto and Cotto, and a win there should turn Berto into a very viable challenger for the pound for pound king. With his speed and power Andre Berto is one of the only men capable of giving Pacquiao a legitimate challenge. If this fight could take place in the fall, then it could be a great set-up for Pacquiao's final fight in '12 (either Mayweather or possibly Martinez).